It’s no secret that high mileage cars require more frequent maintenance than newer vehicles. If you’re driving a vehicle with 75,000 to 100,000 miles on it and hope for more, you can aim for another 100,000 with recommended care and check-ups. By now, your vehicle is likely no longer under warranty and you have to keep track of maintenance schedules and what needs to be done every few thousand miles. It may feel overwhelming, but some simple tips and professional auto shop service should put your mind at ease. Over time, as your vehicle racks up thousands of miles, it’s easy to lose or disregard your owner’s manual. But your manual isn’t there just to give you one more thing to do. It’s to preserve the life of your vehicle, so pay close attention to service information. The manual will tell you how often you should get your car serviced and help keep you on track. Regular oil changes are vital to maintaining a solid, reliable engine. Why? Because oil changes keep the engine parts coated and protected against damaging forces like heat and friction. Once you hit 75,000 miles or so, consider switching to a high-mileage motor oil. These specific oils contain extra detergents to help keep older engines clean while protecting against oil leaks and future engine wear. They might be easy to take for granted, but healthy tires are just as important as healthy engines. Reduce the chance of accidents or wearing out the suspension by having your tires rotated however often your owner’s manual recommends. Most suggest twice a year. In particularly wintry climates, experts recommend using winter tires during cold months for better traction. Keeping your car clean, inside and out, might seem like a common sense suggestion, but busy schedules can quickly place your car at the bottom of the to-do list. Everyone knows to stay on top of basics like changing brake pads, getting new filters, replacing hoses, belts, the battery, etc., and these things are easy to put off for later. However, any small maintenance need could quickly become a larger repair job. Find a trusted auto shop where technicians can routinely check for anything that needs to be fixed before it gets worse. 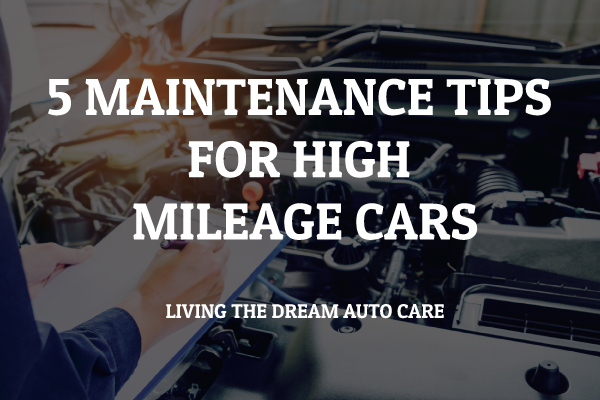 Do you need maintenance help for your high mileage car? Don’t wait any longer. 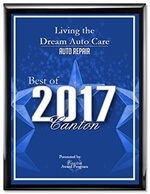 Contact Living the Dream Auto Care for routine maintenance and more!